If France is your destination in mind to travel for holiday, business, study or Family visit, you have to get a Schengen visa for France. 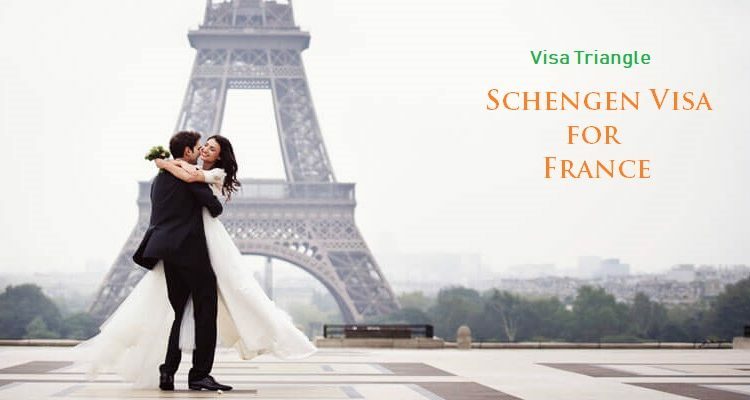 Now you are wondering why Schengen visa than France visa? So let me tell you about Schengen countries first. Schengen countries or Schengen areas is a group of 26 member states of European Union signed an agreement known as Schengen Agreement. 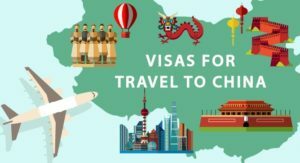 Under this agreement, a traveler who has Schengen visa can stay or transit freely between these 26 countries for a maximum of 90 days or 3 months. Now you are familiar with Schengen agreement & it’s countries name. France is also one of the Schengen member states. Now being an Indian passport holder & an Indian citizen by birth, applicant has to apply for Schengen visa at The France Embassy. First, schedule an appointment with visa office by The official visa website for France. Download the France Schengen visa application form & fill correctly. On Appointment day get interviewed & verified with your documents along with visa application at the visa office. Note: Final Visa Approval/Rejection decision is in hand of the Consulates and the Embassy. Short-stay (≤ 90 days) is for tourist or business purpose normally. Long-stay (>90 days) is normally for applicants who want to stay for a longer period. Fees for Short-stay France Schengen Visa is 60 Euros excluding service tax. The most important thing to know how long will it take to get a France visa in India? As per the official website, an applicant must submit their application at least 5 days prior to their departure. Being on a safe side, it’s good to apply at least 15 days before the intended visit. A France visa application cannot be filled more than 3 months before the travel dates. Note: Fee Prices mentioned above are just for information. Fee prices can vary from case to case. Original Passport with minimum 6 months validity & old passport, if any. Application form dated and signed. Duly signed cover letter having each and every detail about your trip like the purpose of the trip, duration, funds available for trip, tour itinerary. Purpose of travel/stay (Business) – Invitation from a company or an authority to participate in conferences or events of a commercial, industrial or professional nature, Letter of introduction stating the purpose of visit on company/ organization letterhead paper, signed by competent authority & Pre-booked return ticket. Copy of travel medical insurance policy of not less than 30,000 Euros. Accommodations – “Attestation d’accueil” (in case of accommodation at a private individual) or hotel reservation or sufficient means to cover the cost of accommodation (travel provisions of 120 euros/day) or lease agreement. Financial documents/Funds details – Supporting documents of personal income: copy of bank statements of the last 3 months, copy of Income Tax Department Return + ITR V acknowledgment of the previous financial year, and : for employees : 3 last salary slips, for person owning a company: certificate of registration of the company (Form B, rule 5(1) or Form ST3, rule 11) if applicable, supporting documents of sponsoring and of personal income of the sponsor. Socio-professional situation – Proofs of the professional situation (employment contract, work certificate, pay slips, proof of pension) or any document relating to the applicant’s personal links in the country of residence. No Objection Certificate (NOC) – It’s for those who are working under someone/ organization, it is necessary to provide leave letter signed by employers. For students, a proof of enrollment as a student/apprentice issued by their school/university is required. For Minors – Birth certificate or a copy of the family book, In case of minors traveling alone, the parents/guardians should be attached their ID proof & authorize the same through relevant authorities. For Married Couples – Married but not having their spouse name on the passport must present their marriage certificate or in case no available then provide an affidavit for the same. Note: The required documents may vary, depending on the visa type & purpose applied. Additional documents could be required by embassy/consulate, on a case to case basis. We are sure, now you have a clean & clear idea of how to apply visa for France from India. In case you have any query/questions related to France Visa/Schengen Visa, Let us know by dropping your comments or call us. We will love to share our experience with you.